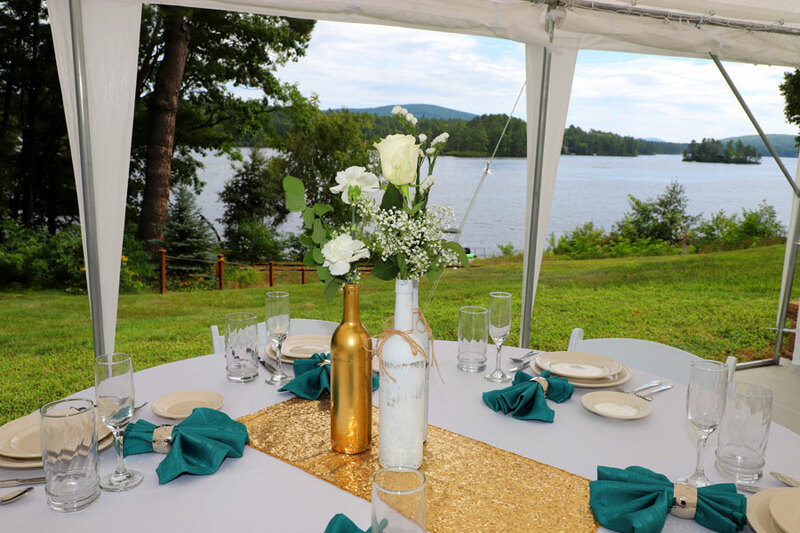 The Inn at Rosewood Landing’s patio event site overlooks the sparkling blue waters of Silver Lake with the deep green mountains beyond its shores. The grounds are dotted with beautiful flowering trees, tall pines and lush gardens. 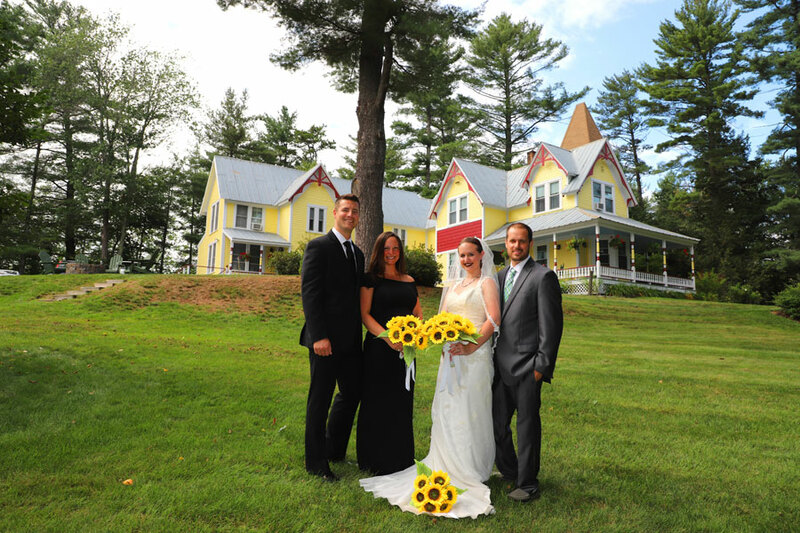 There is ample space on the grounds to have a marriage ceremony/dedication. You can have the event space and Inn lodging for the weekend. 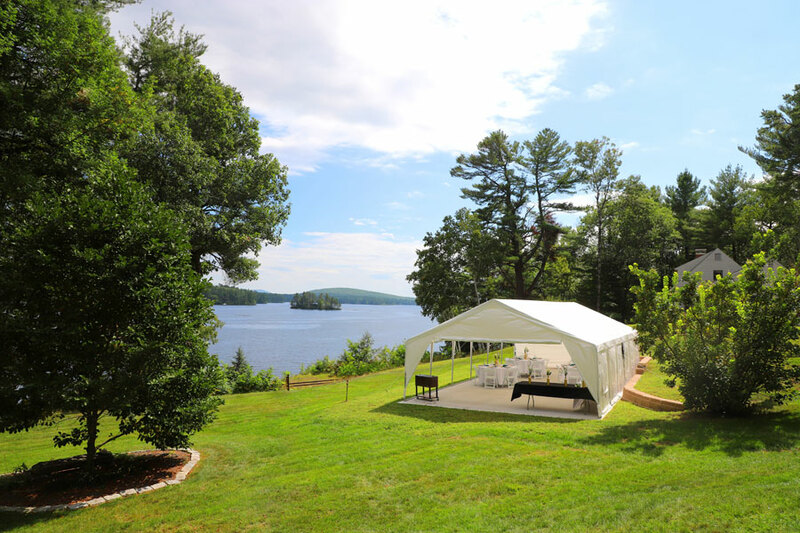 This includes one day use of the tent/patio with all of the included wedding amenities listed above and 5 rooms with private baths for up to 10 people and a full gourmet breakfast each day. We can provide you with a list of caterers that we have used in the past and been satisfied with. In this area the cost per head for outside full-service venders ranges from $75-$150 per head. 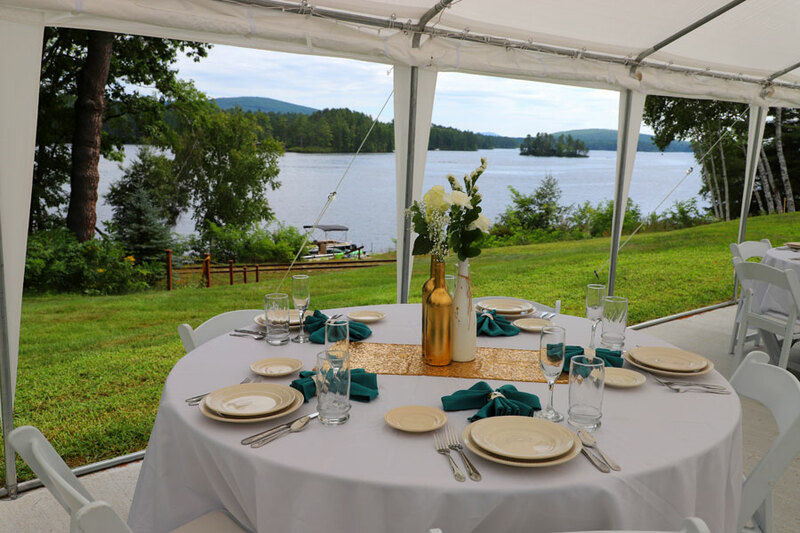 The Inn at Rosewood Landing’s patio event site overlooks the sparkling blue waters of Silver Lake with the deep green mountains beyond its shores. The grounds are dotted with beautiful flowering trees, tall pines and lush gardens. 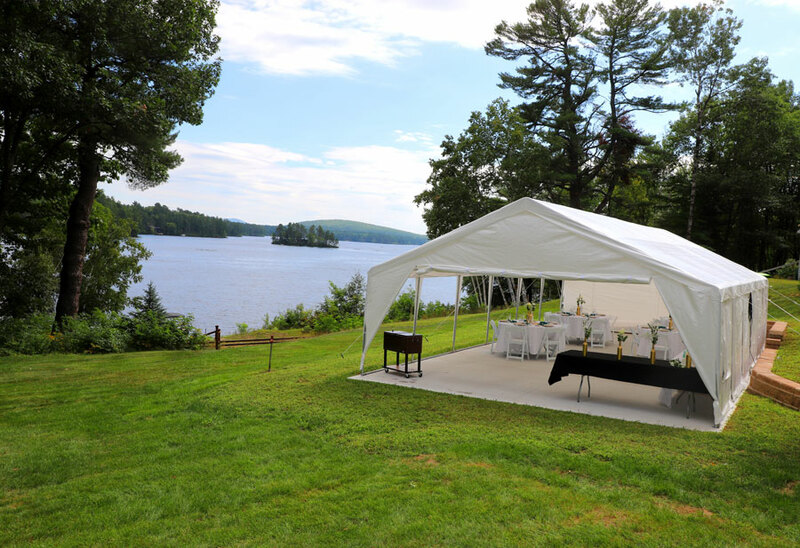 There is ample space on the grounds to have host a special event of your choosing.